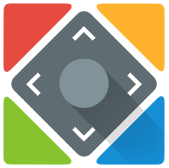 Name: Smart IR Remote Apk. Requirements: Android 4.0.3 or Up. 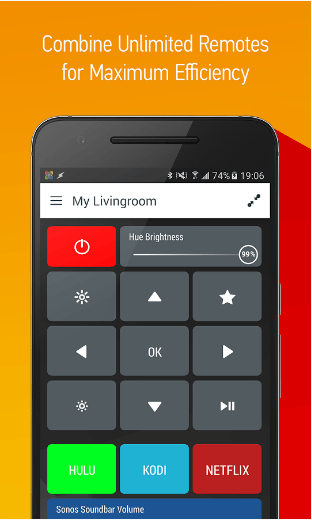 Smart IR Remote – AnyMote is an amazing android application that will turn your android device into Remote Control. Smart IR Remote is the only android application which works on more than (900000 devices and more are getting add daily). Smart IR Remote Apk can stimulate any device that sends InfraRed remote command like TV remote, DVD remote, BlueRay Remote, VCR remote, Speakers Remote etc, Smart IR can work on all these devices. With this App you can take controls on all these devices you can increase or decrease volume, you can change channels, Get controls over menu, settings and many other options. 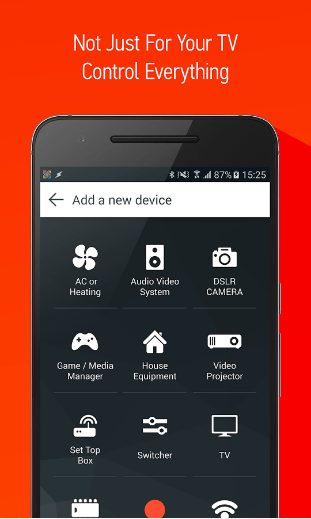 Smart IR Remote – AnyMote Apk is specially designed for Samsung devices and HTC but it also works on other android devices haveing version 4.4 or up. You can check out the list of compatible devices below. GESTURES: It allows you to change channels or increase/decrease volume etc on a single tap. Auto Pause and Mute: Smart IR Remote includes the option of auto mute and pause option when your phone rings. This option works with all devices like TV, DVD, Speaker etc connected with device. Other Automatic Features: Smart IR Remote includes many automatic features like decreasing or muting volume when phone rings, pausing Speaker, DVD and TV etc, switch TV to HDMI 1 all with a single tap and many more. Widgets: Smart IR Remote includes different widgets for different devices. 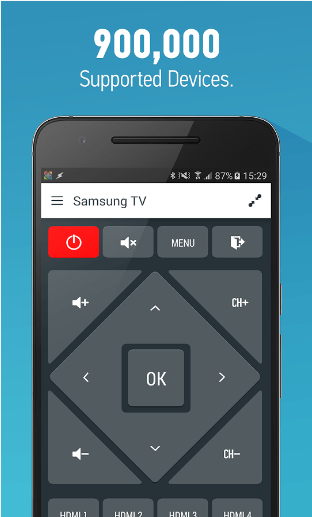 These widgets can help you to control and use your android remote more easily. Floating Remote Features: Floating is another great feature of this app, it allows you to use it app even while playing games or watching movie. On enabling this option you will get a special floating button which will show controls in the up screen area on single tap. Backup/Restore: Smart IR Remote Pro Apk also allows you to backup your connected devices and restore them when it is required. HTC and Medion devices with an InfraRed Blaster. Other Android devices with IR Blaster that runs Android 4.4+.